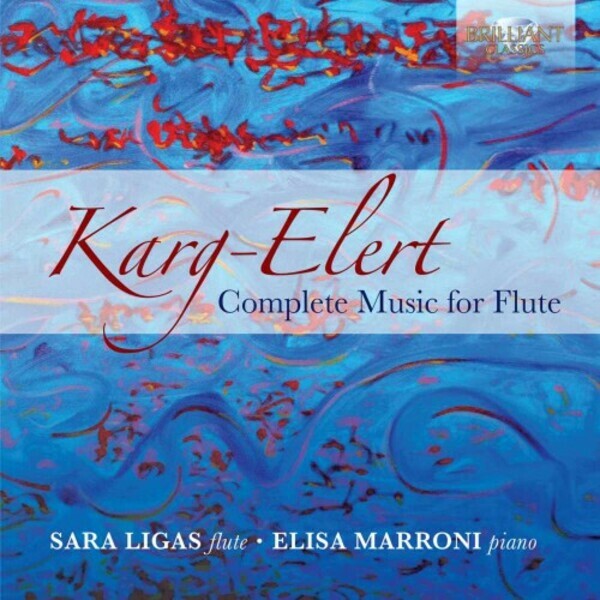 Sigfried Karg‐Elert (1877‐1933) is best remembered for his organ works, and more specifically, for the harmonium. His dense, chromatic and complex counterpoint and rich late romantic harmonies put him next to his compatriot Max Reger. This set contains the complete works for flute solo and flute and piano. His 30 Caprices for solo flute are not only interesting for professional flute players, and the works for flute and piano (notably the substantial Flute Sonata) are masterworks in their genre, showing an original mind and a fine ear for the flute�s lyrical and seductive qualities. These are excellent and compelling performances by two young Italian musicians, with liner notes in English and Italian.